Structural glazing specialists Glasstec Systems were chosen to provide a complete solution, from design to installation. 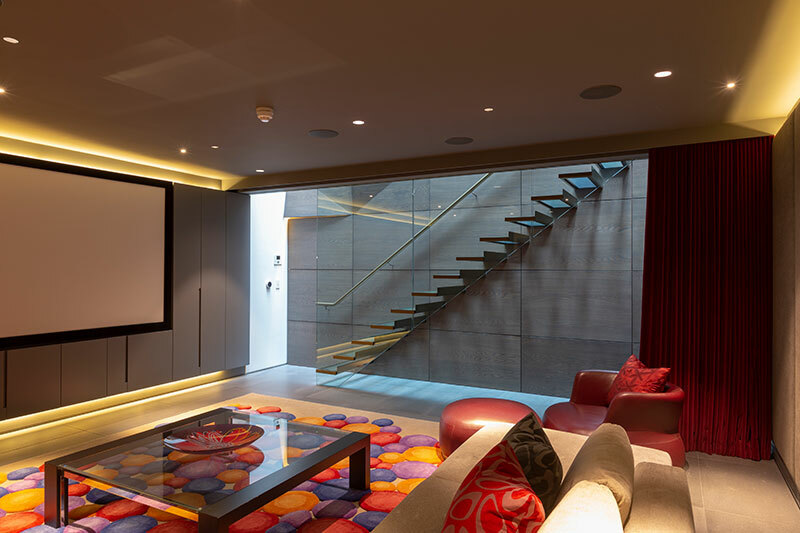 Key to the success of the design was the requirement for no fixings to be on show, so a complete ‘floating’ staircase could be achieved. 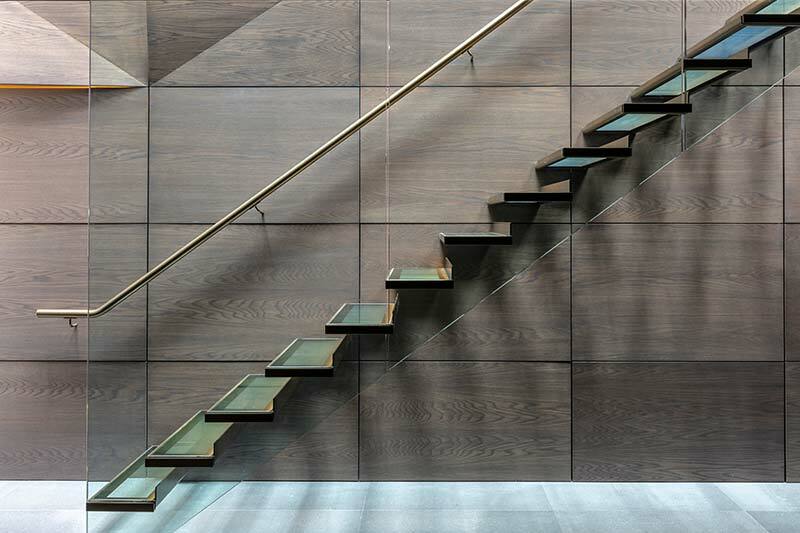 The floating glass staircase solution comprised of individual stairs fixed to supporting metal trays extruding from the structural wall, each stair being 27mm thick, composed from three panels of 8mm glass, toughened laminated together. 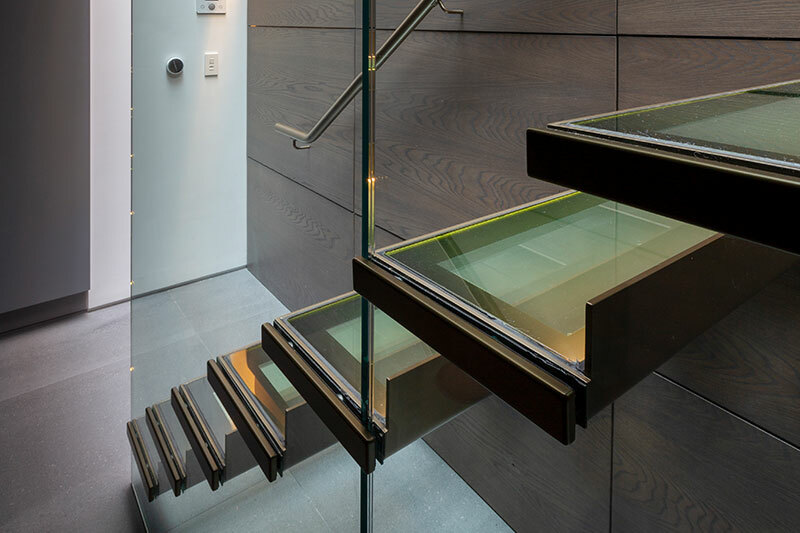 The metal trays holding each stair tread were mechanically fixed through the glass, with aluminium capping to cover the fixing plates – ensuring the ‘floating’ staircase sensation was maintained. Additional intricate details were also included into the design by Glasstec Systems; elegant LED lighting strips were incorporated into the tread casing to subtly light each stair tread. 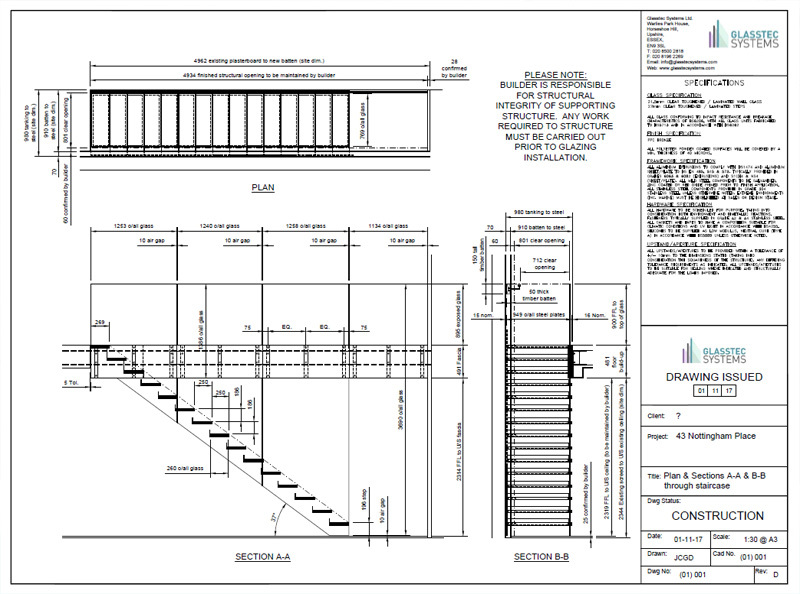 Glasstec Systems also designed and installed the large glass panels that screen the staircase to provide a safe environment. To finish of the installation, Glasstec Systems installed a sleek bronze finish, polyester powder coated (PPC) handrail and beautiful frameless glass balustrading at first floor level to maintain the flow of light within the building, whilst fulfilling safety requirements.